At Mirage Landscaping of Calgary, most of our clients who are avid gardeners are achingly aware of what a weed is, and are always on the lookout. 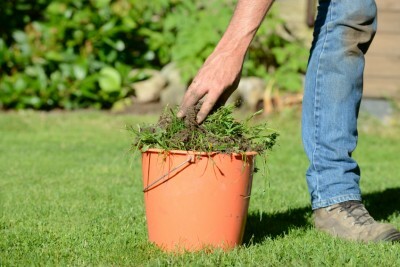 But the rest, many who may be new property owners, are often left wondering what is a weed and what isn’t. Put simply, a weed is any plant growing where it is not wanted. But in Calgary, where an unexpected spot of green is a source of excitement for those of who have watched so many plants fail, it’s not always easy to start pulling things out with abandon. It’s a good season for dandelions this year, what with the relatively dry spring. The lack of moisture has also lead to a dearth in mosquitoes, so most consider extra tint of yellow everywhere to be a bit of a blessing in disguise. A dandelion is an invasive species. How invasive? The dandelion hails from Europe. It is every bit the colonist that proper Canadians once were. It travelled here with the first ships from the old country, no doubt its seeds were intermixed amongst the cereal seeds the first European colonists sought to sow. Dandelions are also nutritious, and people have long added its blooms to salads, crushed its roots for brewing a type of tea, or even fermented the flowers into a weak alcoholic drink called dandelion wine. Still, if you aren’t consuming them or harvesting them for others, yours are a weed. Although they are invasive, dandelions are not considered noxious, and so are not sprayed for in Calgary unless considered to be a problem. However, if you happen to grow one over 15 cm tall, you could receive a fine. But what if you were unwittingly growing an invasive species every bit as hardy as the dandelion, but you weren’t identifying it as a weed, and removing it, because you thought it was pretty? That is the most insidious weed of them all—the ornamental weed. What on earth is an “ornamental weed” you ask? The question is a good one. An ornamental weed in an invasive species that out competes native plants and the non native plants you mistakenly locate nearest these resource thieves. The ornamental weed is one that the non-wary gardener tolerates because, unlike the dandelion, it looks like it should be kept. Creeping Bellflower—This plant features pretty, drooping purple or lavender blooms, so it looks nice. However, it is a nasty customer. Each of its stems can produce upwards of 15,000 seeds and if pulled, even the smallest root piece left behind will eventually regrow into the whole plant. As the Creeping bellflower spreads readily, and is hard to eradicate, it is one of the banes of Calgary’s city parks. Dame’s Rocket—Like the above, this invasive species, which is usually a contaminant species in prepackaged wildflower seed mixes, is a supercharged reproducer that spreads like nobody’s business. Toadflax—Known by its vibrant yellow blooms, this species is not desirable because of the vast root networks it puts forth. Imagine a score of densely packed stems with blooms, pretty enough? Now imagine this clump of flowers with a root system two meters deep by three meters in diameter. That makes toadflax a mighty resource hog that is tremendously difficult to eradicate. Remember, just as you legally can’t weed and feed away your dandelions any longer, the most effective herbicides require a provincial applicator’s license. We have one. We have the expertise to fully remove invasive species, and we take great care when building a patio or walk, or a planting or sod installation, to never introduce these headache inducing species or allow them to thrive. In fact, Mirage Landscaping of Calgary has over three generations of experience helping our clients to manage all manner of live pests. Simply contact us for a free quote on any job.